For many indoor applications, you can generally leave most paper application tapes on vinyl graphics for a year or longer, provided that the graphics are stored away from sunlight in moderate temperatures. If, however, you use an application tape that is a blend of latex and acrylic adhesives, the adhesion to vinyl films could grow within months to the point that you will have difficulty removing it. In some cases, the bond to the vinyl graphics will be so great that you will not be able to remove it at all. Remove the application tape from the substrate ASAP. Do not keep it on the substrate for longer than two weeks. Avoid prolonged exposure to UV light during the time that the tape is on the surface to prevent adhesion build to the substrate. The user is ultimately responsible for selecting the right materials for his job. 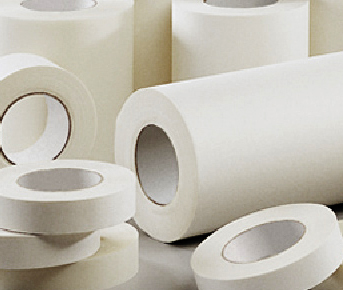 Prior to production you should ideally test the tape for any new applications. My advice to sign makers and other graphics professionals is “Test, Don’t Guess”.